Welcome to the Crann Mor Hotel. 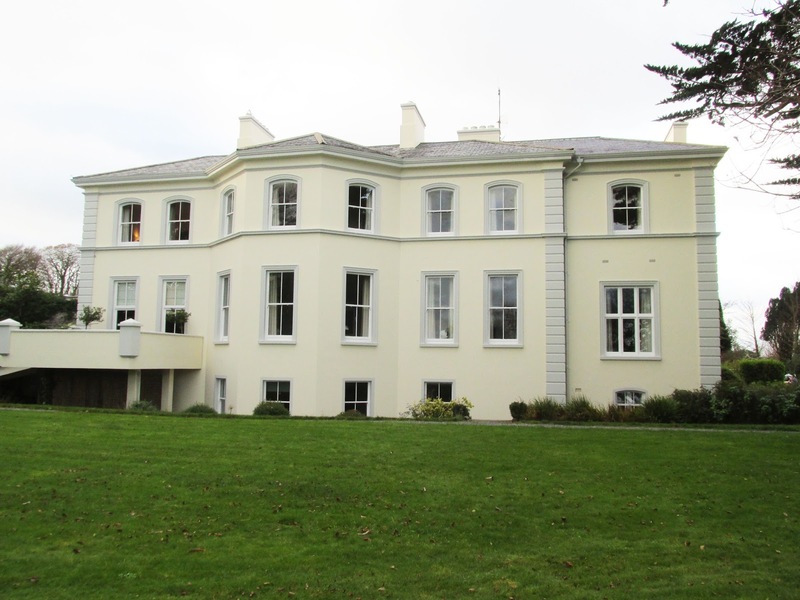 I’m Helen Jenkins, and I’m part of the new management company that’s bought it and hopes to make this place a must-see venue in the Skibbereen area of West Cork. This is my first trip to Ireland, so I’m eager to learn about the place and its people. And I’m a liar. Not about the place—polishing up the hotel is part of my job. Not about visiting Ireland, because I haven’t until now. But I have my own, very personal reasons for being here now. When I was in my teens, living in Boston, I married a wonderful Irish man, Tom Donovan. We had very little money, so we lived with his mother Nora for a while, in a cramped apartment. And we had a baby, and she was wonderful too. Then Tom died, in a stupid accident while he was at his construction job, and I was left with an Irish mother-in-law who was working full-time just to pay the rent, and a squalling baby I didn’t know what to do with, and I was pretty much a kid myself. So one day I just walked out, leaving the baby behind with Nora. I know, it was a terrible thing to do, and I can’t make any excuses for myself. I never looked back, never contacted Nora, never sent money. I pretended that part of my life never existed, and I worked hard to make a new life for myself—an education, a good job, a husband, and two kids—who don’t even know about my former life. But I couldn't live with my secret any longer, so now I’m in Ireland to try to fix things, if that’s even possible. You see, I’m Maura Donovan’s mother. She never knew me, and she doesn’t know I’m here now, and I’m not even sure how to introduce myself. And I’m scared she’ll be angry and just tell me to get lost—again. She has every right to do that, and I deserve it. Seems like Maura’s landed on her feet, with a home of her own and a business of her own—a pub, of all things!—to run, and friends. She doesn’t need me messing up her life now. But I’m still hoping for more. 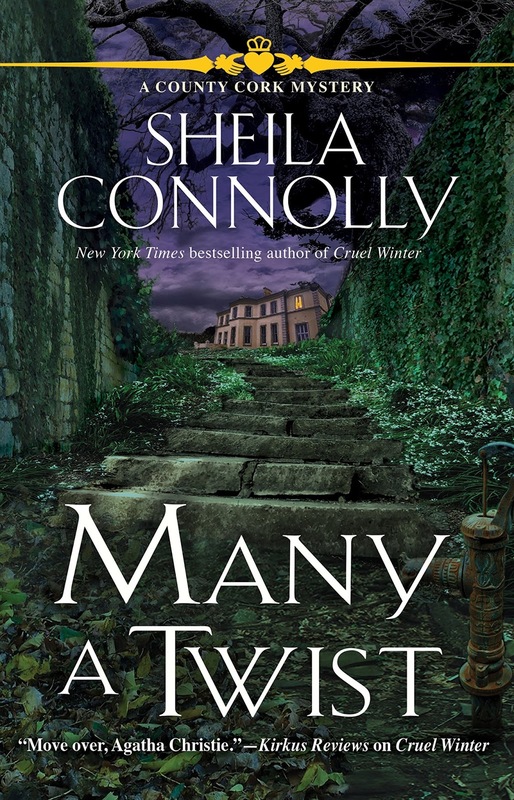 If you want to see how Helen and Maura work things out (along with explaining an inconvenient death at the hotel), you’ll have to read Many a Twist (the sixth County Cork Mystery, coming out on January 9th!). Sheila, I'm so anxious to read this one. Love the series. BTW, I'll be heading for Ireland again the end of April for a few weeks. Staying in Dingle most of the time but venturing over to Innismor two days. Also taking an Irish cooking class at the school in Dingle. Looking forward to the trip. Oh January can’t come soon enough. Two books I want to read come out beginning of January. 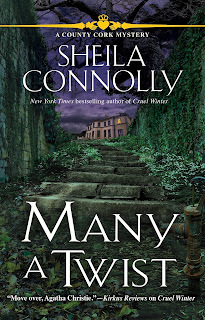 Many a Twist sounds amazing. Can't wait! Be careful and thread softly. Also, be understanding. Sounds like a read I would like. This sounds wonderful! I still have to read Cruel Winter before I can read this new one though. I had a feeling Maura s Mother would turn up someday. I cannot wait to read this one. I love this series.